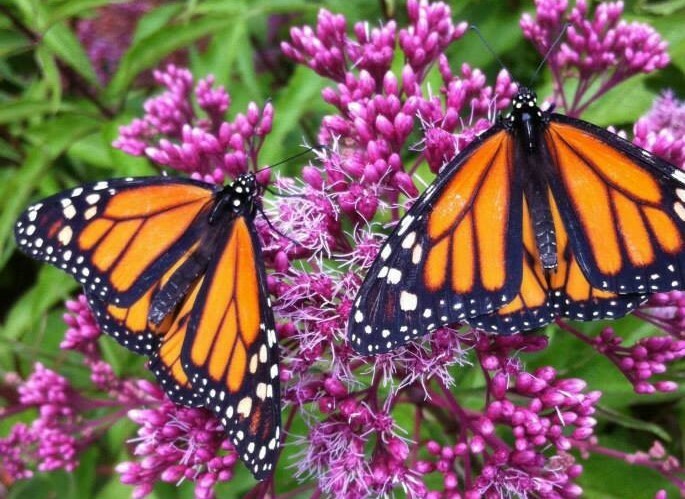 In this article by Emily Cook, we learn why and how plants native to this region are best for landscaping around our buildings and filling our gardens with colorful, butterfly friendly flowers. Cook is the Outreach Specialist for the Northwest Michigan Invasive Species Network. As spring approaches, and we begin to get a tease of warmer weather, many of us are starting to think of our gardens. I encourage you to go a step further and think of your garden as a system and determine what will make each part operate to its fullest potential. How will you grow a habitat that will not only make plants thrive but also encourage pollinators and other wildlife to frequent that space? In two words – go native! There are many reasons why native species are preferred over non-natives and especially over invasive species, which often spread beyond a controlled landscape and into nearby natural areas. As you browse planting lists and seedling catalogues, keep in mind the following collection of additional reasons to avoid invasive species and go native – making educated decisions about your landscape can lead to an incredibly healthy and diverse habitat. 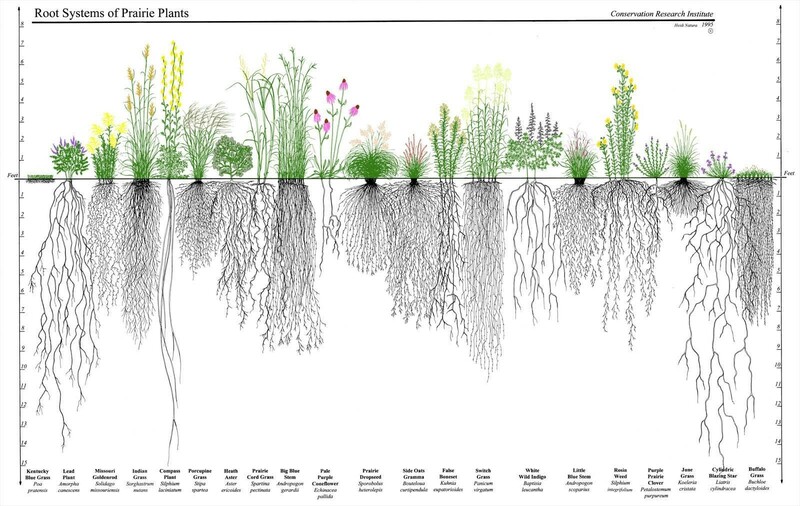 Deep root growth of various native plants encourage water infiltration and nutrient absorption.. Native plants are better adapted to most growing conditions – Because native plants have evolved to grow in the region they are native to, they often require much less maintenance than non-natives and invasive species. They take some initial effort to establish but after that, you can expect less-frequent watering and upkeep. Not only does this save us time and effort but it also helps to conserve an incredible amount of water – something we should be hyper aware of in northwest Michigan. (To learn more, see Why Native Plants Matter). Attract the good insects and avoid the bad – It’s no secret that a diverse native garden will also be teeming with pollinators. Many of the insects we see (bees, butterflies, etc.) are adapted to visit the plant species native to this region. When non-natives are introduced, often our existing pollinators have no established preference for them. They simply aren’t interested or worse, CANNOT utilize these plants. Monarch butterfly caterpillars, for example, can only eat milkweeds. If those plants are not available, the caterpillars will have no food. Not only is this detrimental to the butterfly population, but also any birds who may be relying on this level of the food chain to feed their young. As mentioned previously, habitats are systems where everything is connected. 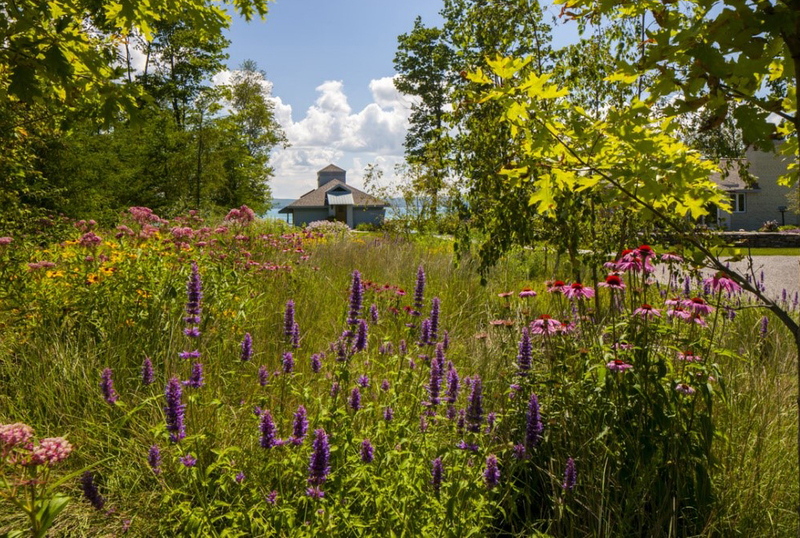 Native plants preserve our natural resource heritage – Climate change is shifting the conditions under which we grow gardens and manage landscapes. Some climate change impacts in our region are dramatic, including the increasing frequency and intensity of large storms. Other impacts seem subtler, like the earlier spring warms up and increasing frequency of unpredictable heat events. The cumulative impacts of these changes include shifts in plant hardiness zones, increased pressures from plant pests and some invasive plant species, and a decline in biodiversity. 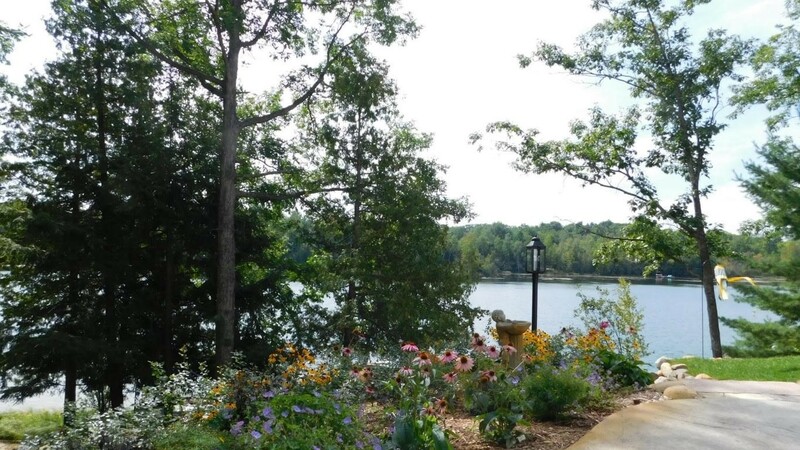 As gardeners and landscapers, we can respond to these changing conditions and help preserve the habitats and natural resources of our region by choosing and planting native species selectively and consistently. Thinking systematically, select native plants that can adjust to precipitation changes such as droughty conditions and hot spells. If you’re looking to preserve native species AND reduce the amount of carbon dioxide being released into the atmosphere, try converting more of your lawn to native grasses and flowering plants. Less grass mowing means less noise and air pollution. Thinking long term? Plant native trees! 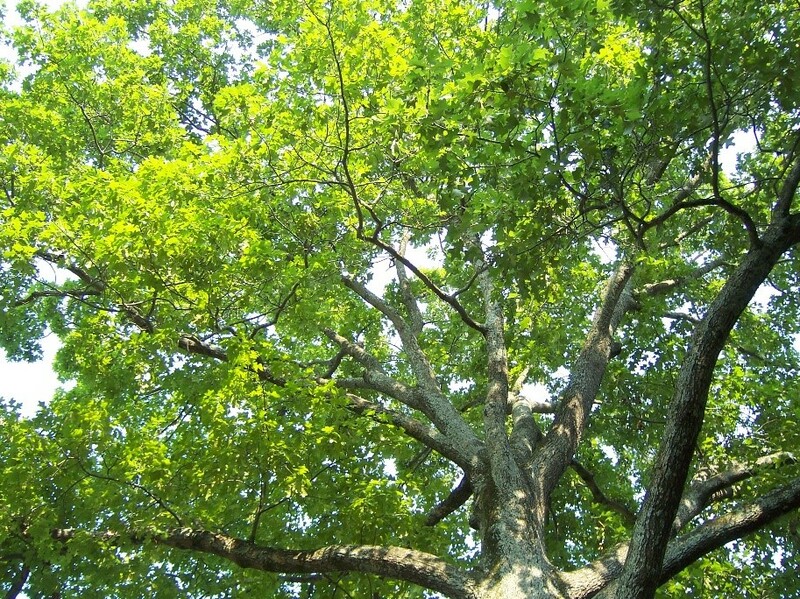 Long lived species such as oak and maple are masters at removing carbon dioxide from the air and storing the carbon long term. For more information check out Gardening in a Warming World. Get beautiful, diverse color during the entire growing season – Some invasive species can be pretty. That may be the reason people are still purchasing them from nurseries. However, once put some of these plants in the ground, they can out-compete everything else resulting in a carpet of that plant. For example, myrtle will spread quickly taking over large areas once filled with native plants. If you go home with baby’s breath seeds, it’s likely you’ll see plenty of that little, white flower but not much else (and if you hop over to a Lake Michigan dune, there is a good chance you will see that the plant has spread to cover critical dune habitat as well). If your goal is to have a variety of color, plant height, and bloom shape, there are dozens and dozens of options in the native plant category. Often times you can get color starting in May and going through until the end of October. The options are plentiful! It can be overwhelming to enter a nursery or speak to a landscaper when there are so many planting decisions to be made. Despite being armed with the knowledge that native species are the key to backyard diversity, it is easy to walk away with the wrong plant. 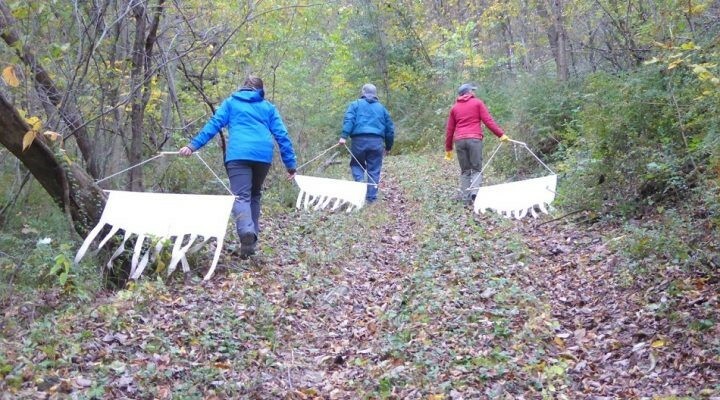 If you are interested in learning more about Go Beyond Beauty or Michigan’s invasive species, there are many informative and practical training events in the coming months, ranging from general informational meetings to 1/2-day training sessions on the removal of Japanese knotweed. For a complete list, go to www.HabitatMatters.org/eventsworkbees. The Northwest Michigan Invasive Species Network (ISN) is a Cooperative Invasive Species Management Area (CISMA). ISN works directly with over 40 partners in Benzie, Grand Traverse, Leelanau, and Manistee Counties to manage populations of invasive species that threaten northwest Michigan’s high-quality natural areas. It is currently funded through grants from the Great Lakes Restoration Initiative (GLRI), the US Forest Service (USFS), and the Michigan Invasive Species Grant Program (MISGP), as well as a few private donations.